We have put together this package so that you will have a wholesome experience of Nepal. 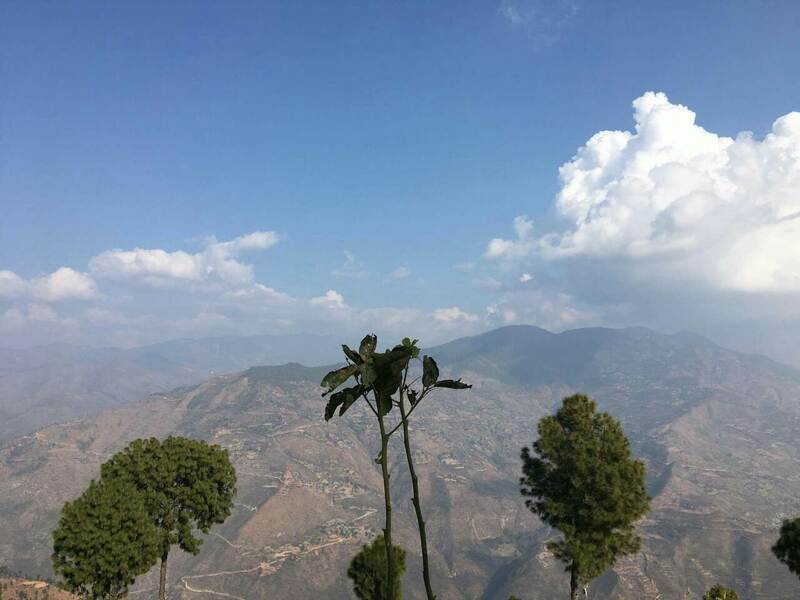 You will be trekking on lonesome dirt trekking routes that pass through several typical Nepali Villages and cycling in a mountainous setting, along with the B.P Koirala Highway. You will also be rafting on the white water rivers of Sun Koshi and Tamur. 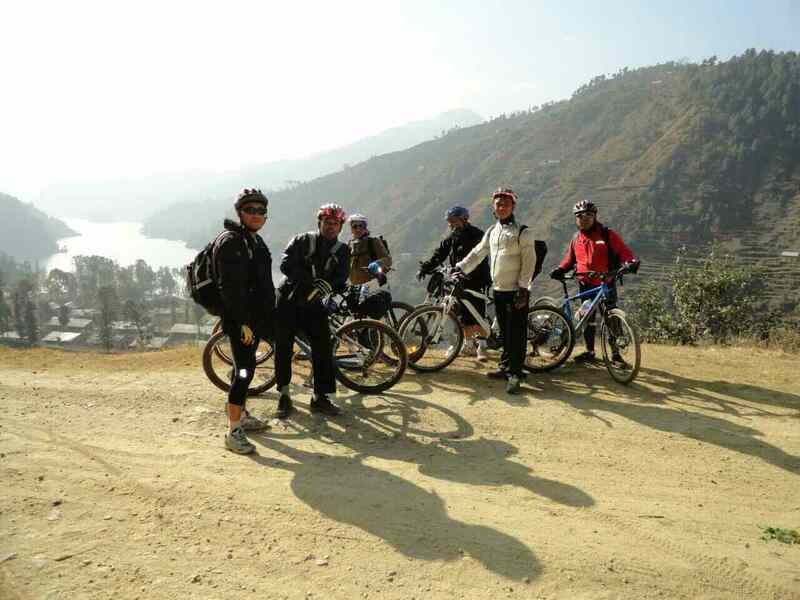 The combination of trekking, cycling and rafting will give you an opportunity to know Nepal and Nepalese in closer detail. The balance of these activities will break the monotony that might creep up if you pursue a single activity. We will be trekking on lonesome dirt tracks that go up and down, and join one village to the next. 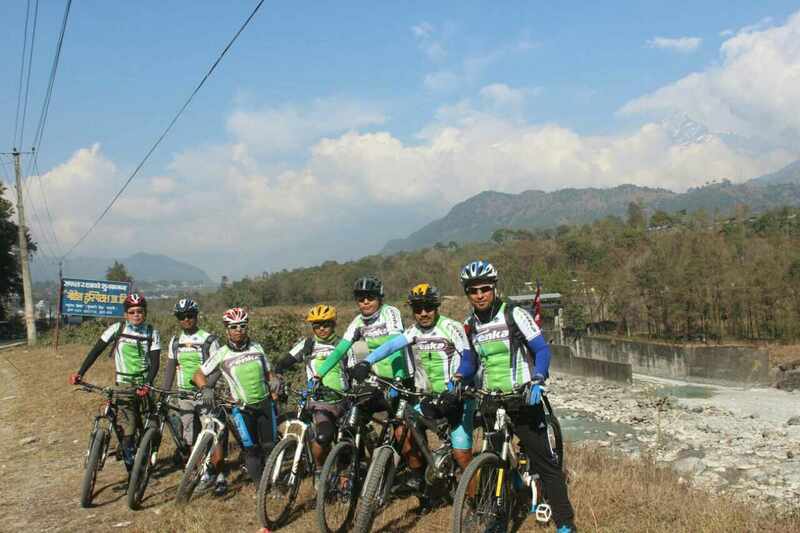 We will be cycling on the curved roads of BP Koirala Highway and through mountain setting, providing you with a different, unique and memorable experience. You will be rafting in Sun Koshi and Tamur rivers. The rafting routes are challenging at times and will excite and exhilarate you. Some of the most exciting rapids are Harkapur I and II (Class V-), Meat Grinder (Class IV-), Pre-anxiety (Class III) and High-anxiety (Class IV-) rapids. Throughout this trip, you will enjoy unique mountain range views of some of the tallest mountains in the world. We have years of experience conducting these trips; hence our staffs will be advising you on how to make most out of this trip. We will make sure that you remain safe, entertained and informed during your entire time with us. We just want you to come with your open mind because there are endless possibilities. Moreover, for this trip, we will provide you Nepal government licensed river guides, who have completed Red Cross first aid training. Our guides hold rafting certifications from International Rafting Federation (IRF) and are Whitewater Rescue Technicians (WRT) trained. Be assured that you will be in our safe hands. 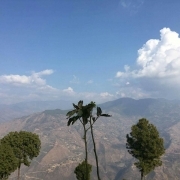 You can also view Sun Koshi and Roshi Khola valley terraces, and enjoy the greenery of mountains. This day, we will also take you to Buddha Chitta farms. Buddhists regard Buddha Chitta beads (necklace) to be very pious, and Buddhists use these beads while praying. 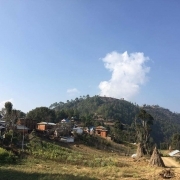 Buddha Chitta literally means the mind of enlightenment After seeing Buddha Chitta farming; we will continue our trek to Kot Timal and stay in our camp. 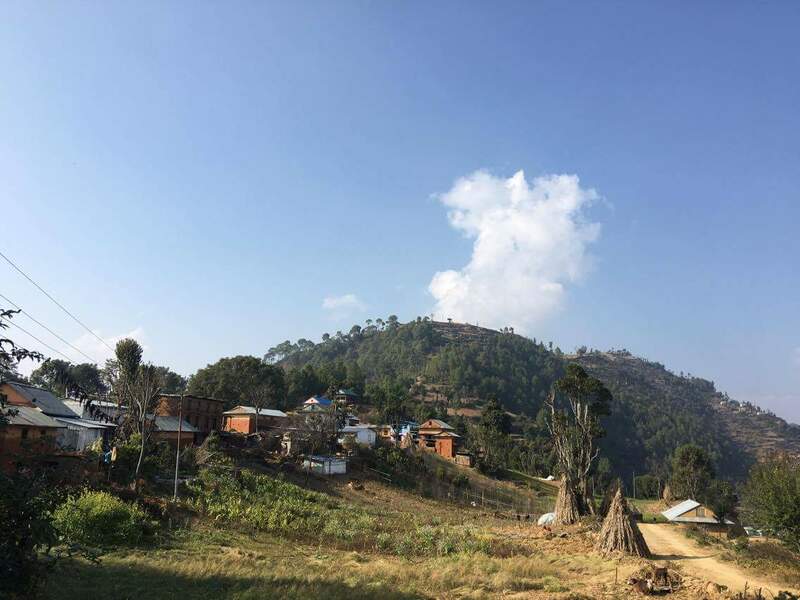 The Tamang ethnic group inhabits Kot Timal. We will wake up early in the morning, have our breakfast and head towards Bhotepati. Along the way, we will have much better views of mountains, mountain ranges and valley terraces that we saw on the third day. We will also be passing by a few Buddhist Stupas/ Monasteries and Hindu Temples. 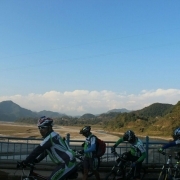 Along the way, we will pass through several Tamang villages and Buddha Chitta farms. When the evening approaches, we will stop at Bhotepati to set up our camp. After a filling breakfast, we will trek to Nepalthok, from Bhotepati. At first, we will move parallel to Mahabharat range (3,700 m to 4,500 m) and later descend to Nepalthok. 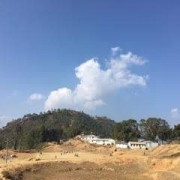 Nepalthok is a small town famous for fish from Sun Koshi river. In addition, you will be visiting one famous Hindu pilgrimage site – Kusheswor Mahadev Temple – on your way. We will set up our camp at Nepalthok by the side of Sun Koshi, for the night. After breakfast, we will first check the cycles. 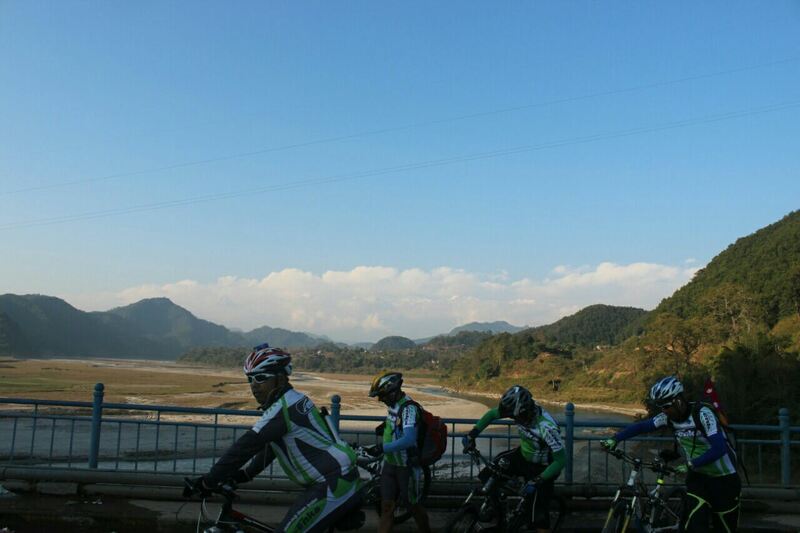 Then we will be cycling by the Sun Koshi beachside in BP highway, while enjoying the beautiful scenery. We will be cycling for 35 kilometers, and will have our lunch on the way. We will reach Khurkot in about four hours and set our camp by the Sun Koshi river side. This is the day, the trekking part of the package ends, next you will be running on Sun Koshi. So, after breakfast,we will pack our bags and reach our put-in point at Khurkot and start to paddle towards Jhagare. When you enter the water, you will find that the waters are quite calm and paddling is easy but slowly the water currents of Sun Koshi increase, and you have to pay attention to paddling. The highlights for this day are the exciting and challenging rapids – Meat Grinder (Class IV-), Punch (Class IV-), Judy (Class III), Pre-anxiety (Class III) and High-anxiety (Class IV-). Camping will be at Jhagre for the night. Day eight will test our team spirit, as we will come across the legendary Harkapur I and II (class V-) rapids. After some paddling, you will see Dudh Koshi join Sun Koshi. Depending on the season and Sun Koshi water levels, the rapids may or may not be runnable. We'll assess the situation carefully and make a decision, making sure that all of us are safe. After crossing many rapids, we will reach Phiure Camp, where we will set our camp and spend the night there. After breakfast, we will start rafting again, and we will be meeting some of the most exciting rapids such as Jaws Rapid (Class IV-) followed by the notorious “Dead Man Eddy”. The main highlight of this day’s rafting is the rapid “Rhino Rock” (Class IV rapid). True to its name, this rapid looks like the horn of a rhinoceros. The way you pass this rapid depends on the level of water and decision by the guide. We will set up our camp for the night at Rasuwaghat by the Sun Koshi riverside. As we continue rafting down the river, we will enter tropical vegetation. Sun Koshi becomes narrower, and we will be passing through a region referred as “Jungle Corridor” which is full of continuous rapids. As we move ahead, we come across a series of waterfalls – unspoilt and serene. This day’s camp will be near to the beautiful Waterfall by the side of Sun Koshi. After breakfast, we will start rafting in Sun Koshi again, this time from Waterfall to Tribeni. The waters of Sun Koshi are calmer now. You can relax as you pass through smaller waves. However, on the way, you will come across two exciting rapids – Big Dipper (Class IV) followed by Blackhole (class III). Soon, Arun and Tamur mix with Sun Koshi at Tribeni (which means confluence of three rivers in Nepali). A total of seven rivers has now joined Sun Koshi, which is now called Sapta Koshi (which in Nepali means seven rivers/Koshi). Our camp at that day will be at Tribeni. After a filling breakfast, we start paddling down the river. On the way, lies the famous Hindu temple of Baraha. The landscape looks mesmerising. After an hour long paddling you will reach Chatara. From Chatara, we will be driving to Mulghat to get to Tamur river to extend the rafting trip. This section of Tamur is full of continuous rapids that you would not want to miss. Hence, we have included Tamur as a part of this expedition. Overnight camp will be by the Tamur riverside. This day, we will paddle on Tamur river to reach Tribeni, one more time. We will be passing through thirty exciting continuous rapids on this section; the most notable ones are – Ashram(class IV +), Hell Hole(class IV) and Bat Below (class IV). 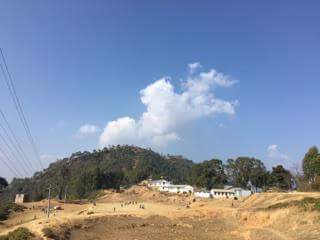 We will be setting up our camp for that day at Tribeni, by the side of Sun Koshi. After breakfast, you will raft for some time until you reach the famous Baraha temple, once more. We will spend some time sightseeing; then we will paddle to Chatara – our final put out point. We will have our lunch at a local restaurant. From Chatara, we will take a private bus and drive for about 14 to 15 hours to reach Kathmandu. We will stop our bus on the way for dinner at a Nepali restaurant. You can choose to stay at Chitwan National Park to enjoy the wildlife. There is one more option; you may go to Biratnagar from Chatara and then fly to Kathmandu. For arrangements, please talk to Nepal River Runner representative.